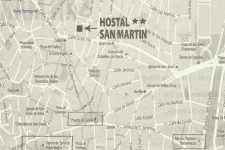 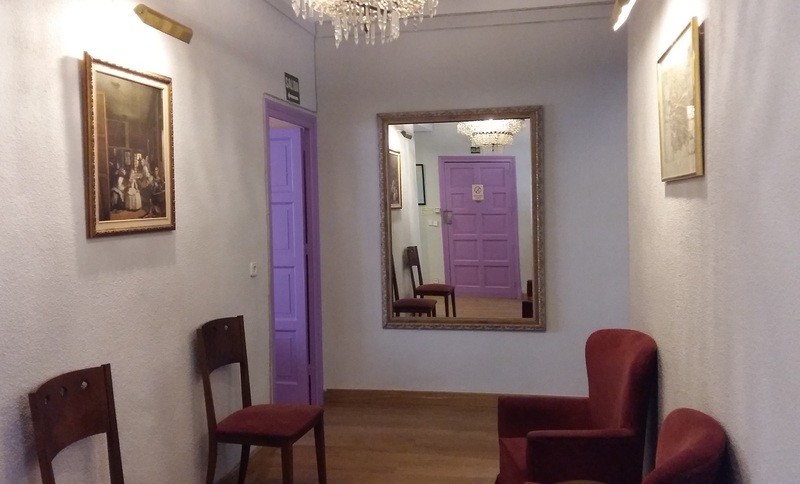 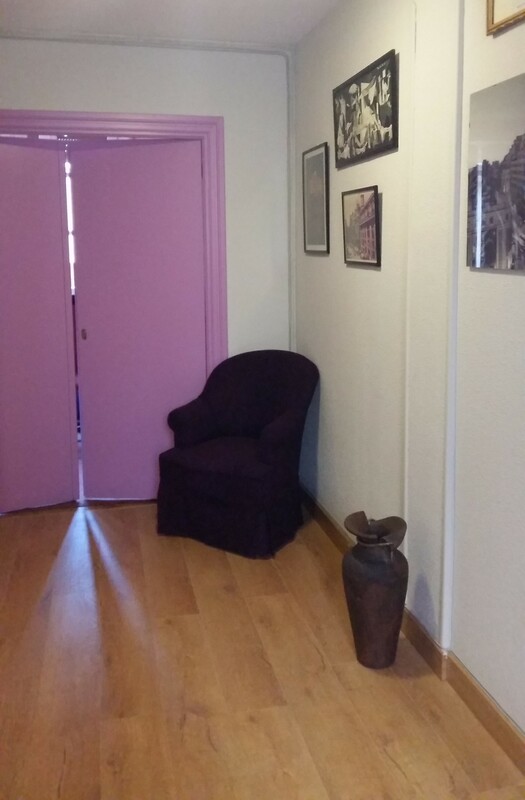 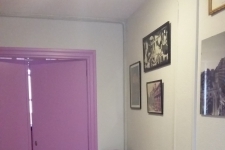 SAN MARTÍN Guesthouse, a two-star accommodation, is located in the centre of Madrid, on the fourth floor of a building with lift. 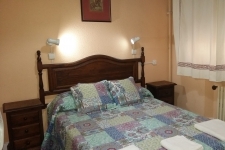 Given its privileged location it is near all the main tourist attractions: Puerta del Sol Gate, La Cibeles Fountain, Plaza de España square and the most important museums. 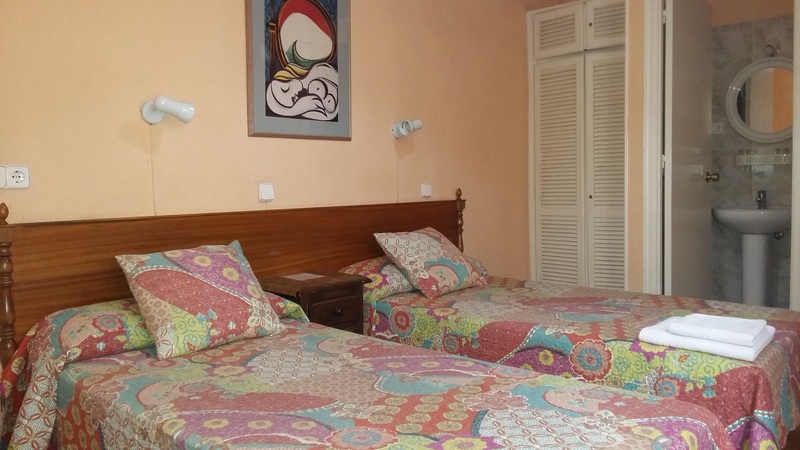 Moreover, the guesthouse is near the main cinemas, theatres, bars, restaurants and discos. 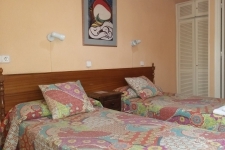 Guests can also go shopping in the famous shops and shopping centres, which are all to be found close by. 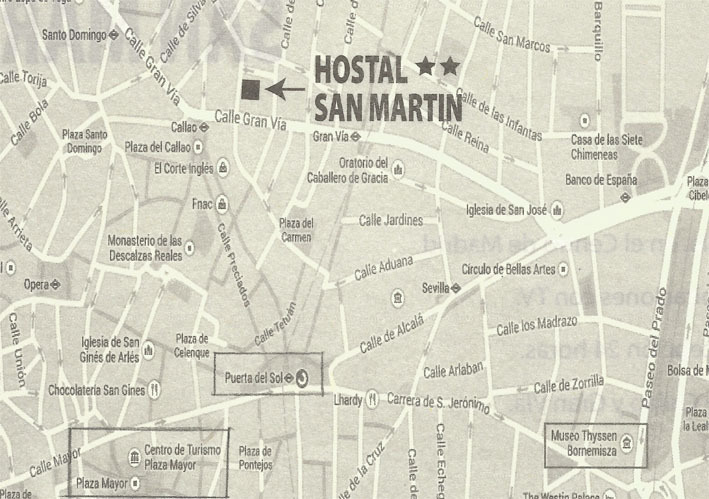 Public transport will take you to the airport, a golf course, the Conference Centre or a particular football ground. 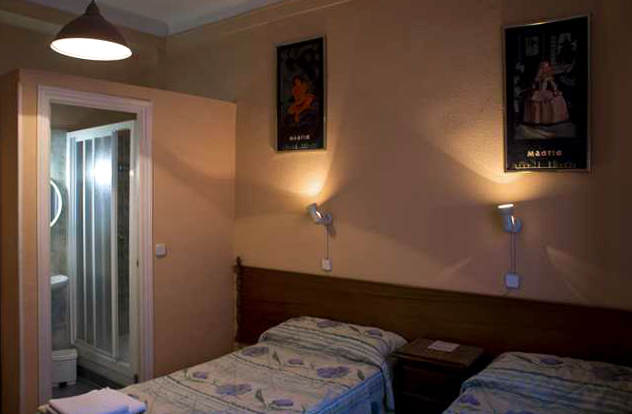 Our guesthouse can accommodate 23 people in its 11 rooms, 10 of which are double. 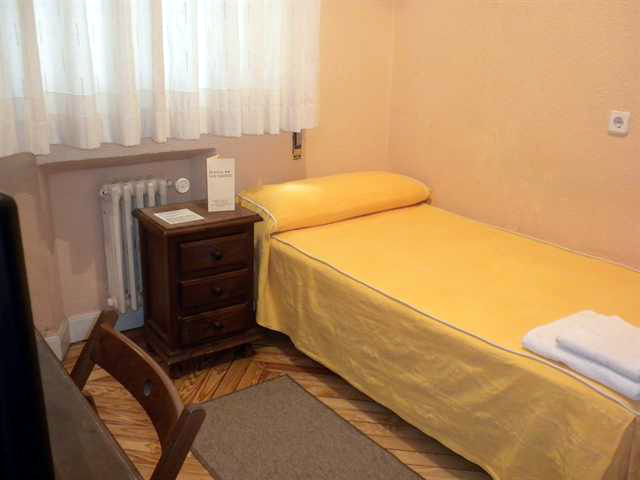 The single room has a washbasin. 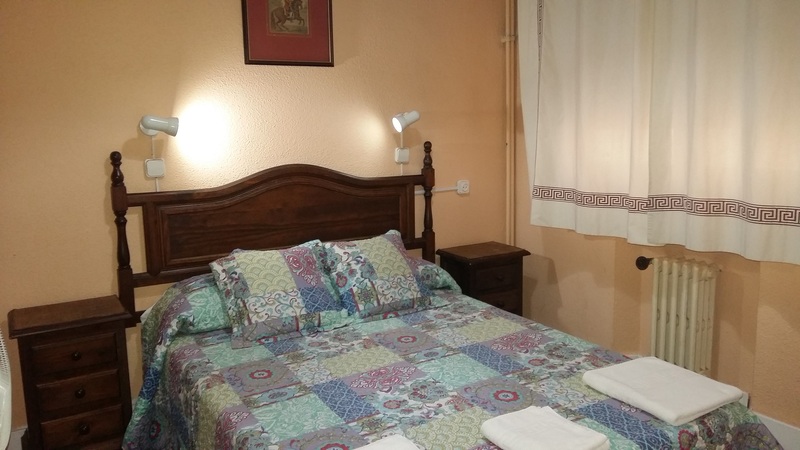 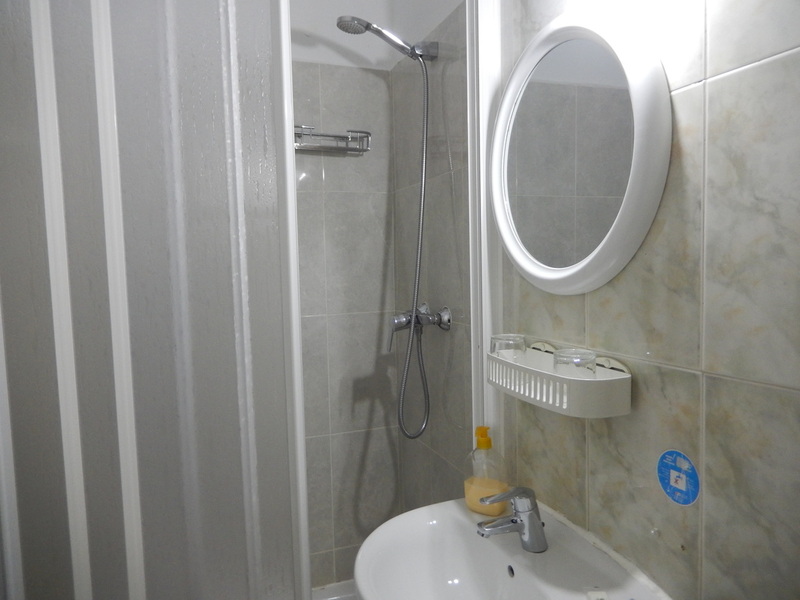 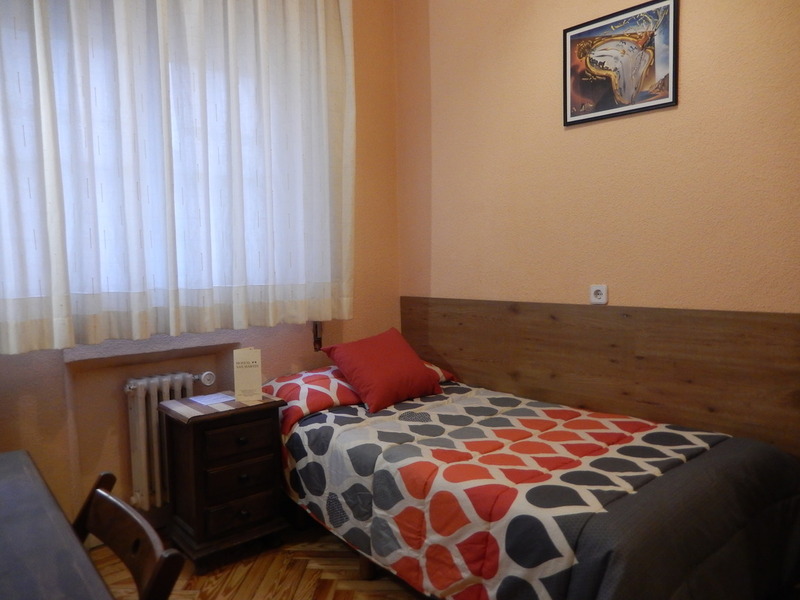 Two of the double rooms have full bathrooms, while the rest have a shower and washbasin. 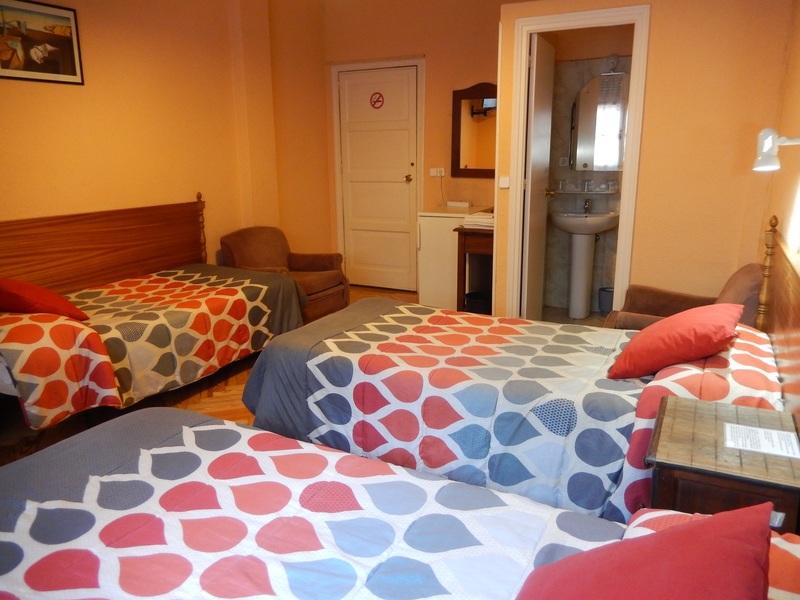 We also have 2 extra folding beds available.